Discussion in 'ClubRunner News & Announcements' started by Nabil on Dec 19, 2017. It's been a common occurrence in the past, where you received an email that was sent through ClubRunner by one member, but it appeared in your inbox as though it was sent from another member entirely. The reason for this had to do with your mail client associating the email address ClubRunner used to send emails with one particular contact and saving that information in your address book. In the past, all emails that were sent out from ClubRunner were sent using mailservice@clubrunner.ca, and as a result, all email clients read the "from" as this email address. As you clicked on reply however, the "reply to" would automatically change to the sender's email address. However, sometimes when email clients automatically saved this shared email address under one particular member, all emails received from anybody within your club looked as though they were coming from someone else. To fix this, you'd be required to check your address book to ensure that mailservice@clubrunner.ca was not saved under a member's name. We're happy to report that we've now made significant updates to our email architecture to avoid this from happening again! Now, all emails generated within ClubRunner will come from a unique 'from' email address related solely to the original sender. This means that we never will use a shared 'from' email address again. 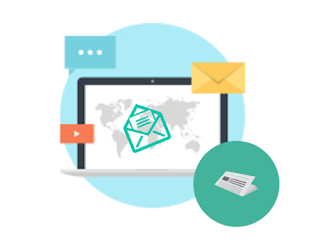 As an example, if the ClubRunner Team ever sent emails generated through ClubRunner, our email appeared to be coming from mailservice@clubrunner.ca. Now, our emails will appear to come from a format similar to support.clubrunner.ca@clubrunner.email. Using a unique 'from' address for every member ensures that you'll never encounter such an issue again. Of course, clicking on reply as always will automatically change the "reply to" details with the sender, so you can communicate directly. This is just one of many improvements coming your way to help improve communication between your members. Questions? Contact our support team by visiting www.ClubRunnerSupport.com. Zach and Jim Goit like this.